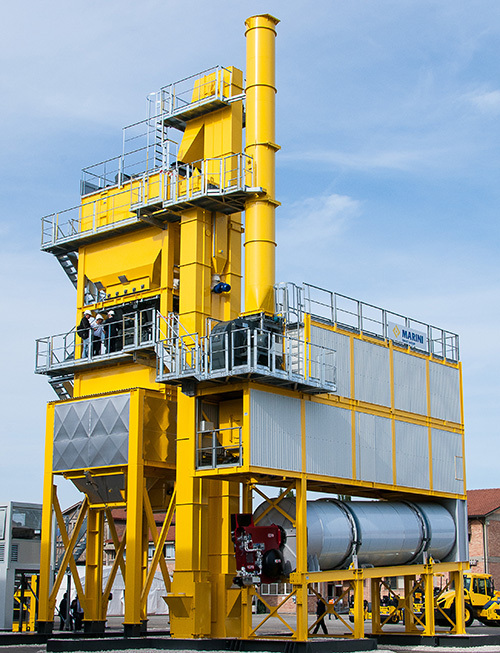 The new generation of MARINI batch plants is designed to combine the traditional features of performance and technology with new high levels of fatigue resistance, plus easy use and maintenance, while maintaining all the essential simplicity. 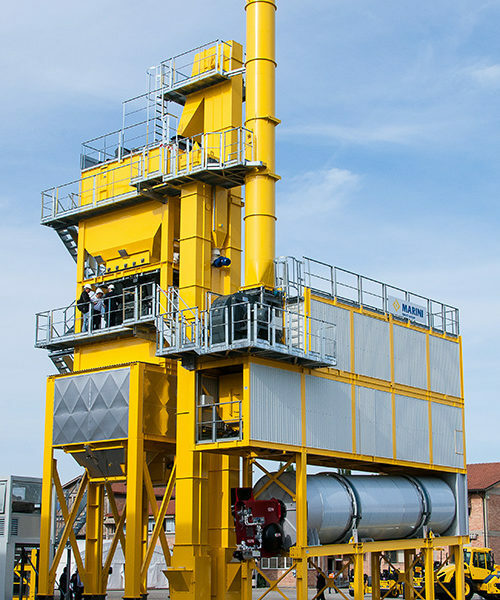 The BE Tower Marini Asphalt Plants is the latest addition to the MARINI family – featuring all the essentials in design, efficiency and energy savings, with further improvements to plant management and reduced usage of ground space. 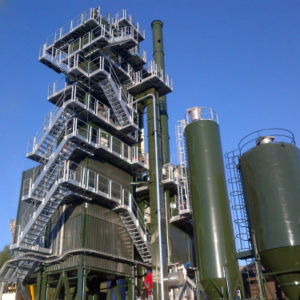 This latest addition to the MARINI family, a series of plants producing up to 200 tph, is a new entry compared with its more widely known sister plant TOP TOWER (over 360 tph). 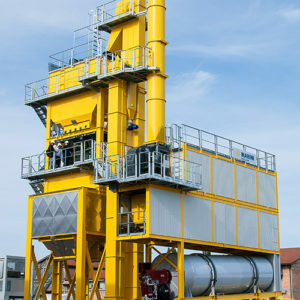 In the new BE TOWER we find many of the design concepts which have led to the success of TOP TOWER and eTOWER, in particular the efficient compact dryer-filter tower, capable of guaranteeing significant energy savings, presented in its new layout aimed at further improvements in straightforward plant management and reduced use of ground space. 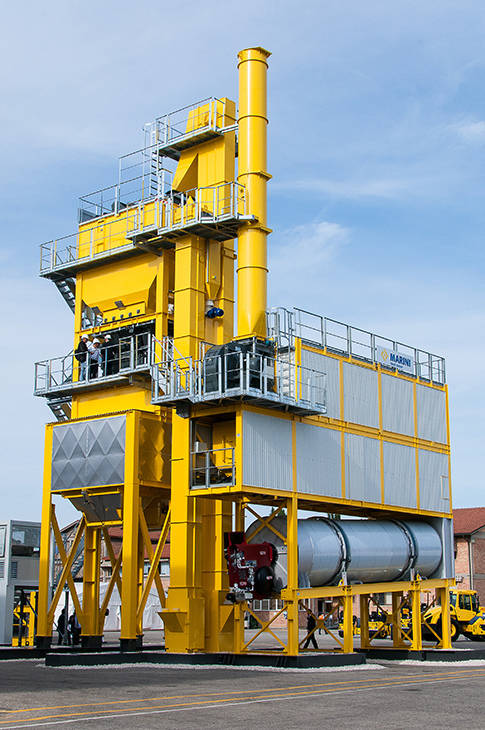 Simple and essential: the perfect plant equipment for clients who need to produce asphalt and complete laying operations in the shortest time possible, wherever the delivery site location may be. 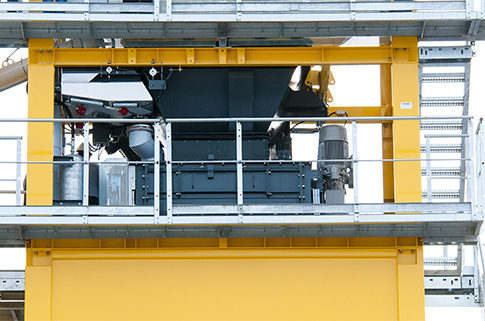 BE TOWER underlines the concept of transportability with its containerised modules which make transfer into a quick, easy and economical operation – and also more secure. All the parts are protected from atmospheric degradation, accidental damage and theft of component parts. 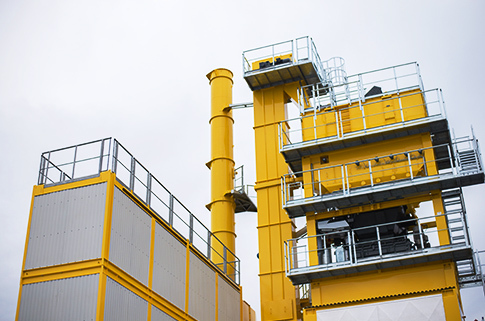 This manageable plant has comfortable spaces for accurate, quick and completely safe maintenance operations. 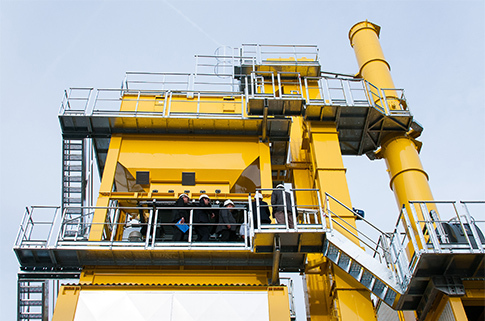 Conceived to minimize training time of operators and staff on site, the plant is easy to use, and hard working round the clock. It is built with care and manufactured with high quality, long-lasting materials for constant work regimes. 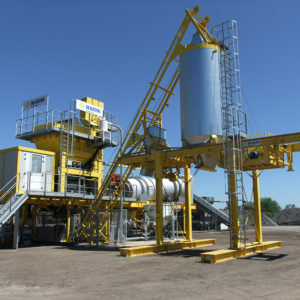 The plant can be provided with finished product storage bins, fitted under or alongside the mixer. 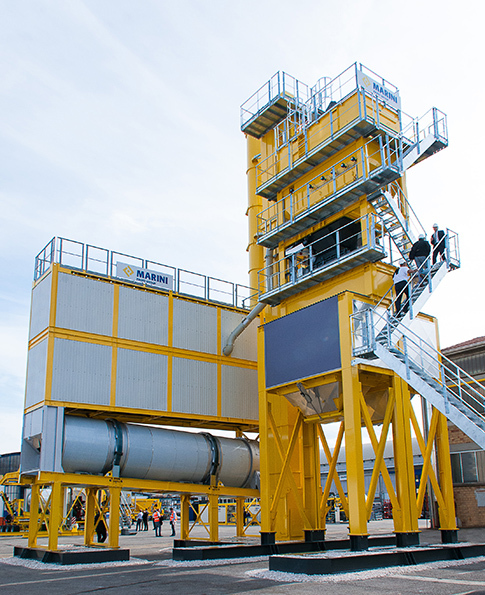 The control cabin is fitted with highly reliable, long-lasting components, such as the dustproof industrial computer which can operate under a wide range of working temperatures. The software is the reliable well-tested CYBERTRONIC500, which can be customised and updated quickly and cheaply.